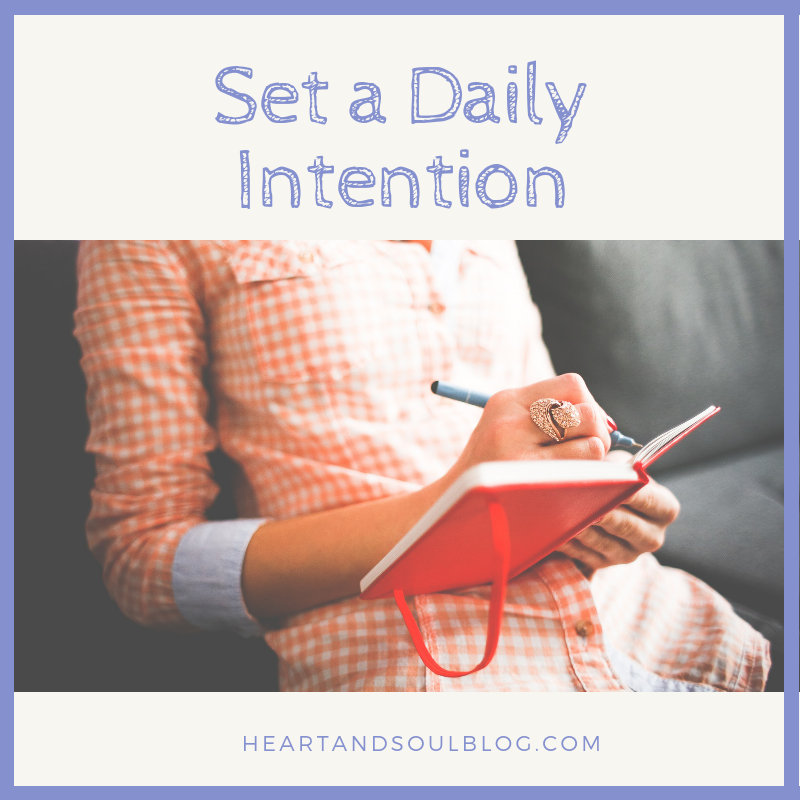 I’m coming at you with one of my favorite 2018 habits: set a daily intention. Does it sound hokey? I thought so, too, when my friend told me she does it every day. But I trust my friend, so I decided to give it a whirl. And you know what? It rocks! So let’s talk about daily intentions! “Detach from the outcome.” (source) This is hard but so important! Just like in yoga or artistic expression, an intention is about the process, not the product. You are not ticking boxes off a to-do list; you’re cultivating a way of thinking and feeling and being. So this may sound silly or New Age-y (does anyone still say New Age any more?? ), but there’s research on the topic! Even Forbes has a new article all about the importance of daily intentions rather than just goals! It’s no secret that mindful meditation has been shown to have huge benefits on our brains. It helps to make us happier and better able to handle stress. Intentions are kind of like bringing mindfulness into everything we do, while also giving us a little boost of positive energy. 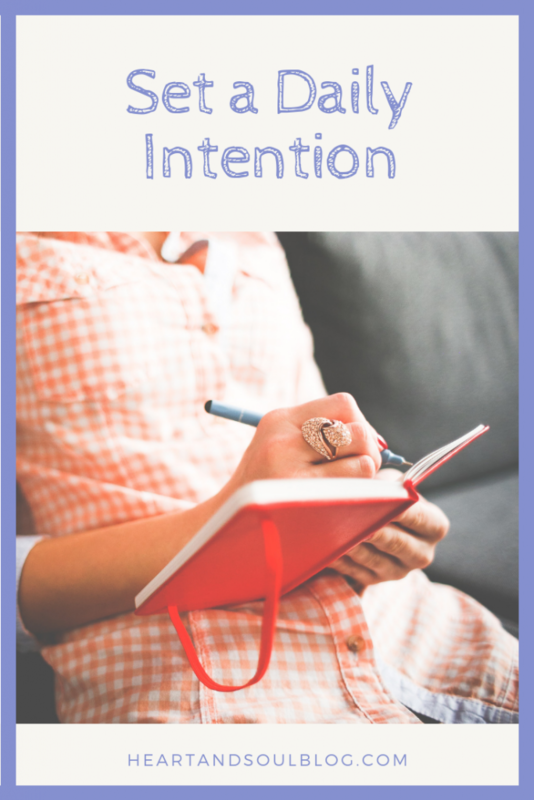 Here are three easy ways you can incorporate intentions into your daily life. As soon as you wake up, sit up in bed, close your eyes, and pick a focus for the day. If you bullet journal, start tracking your daily intentions. Create a page just for them, or include them in your habit or other health trackers. Here’s my preferred method: every day, I pick an intention and write it in my planner (i.e. my brain). Writing things down helps me remember them, and seeing the words accumulate throughout the week is a nice little boost of positive energy. I usually stick with a single word or phrase to keep it simple. 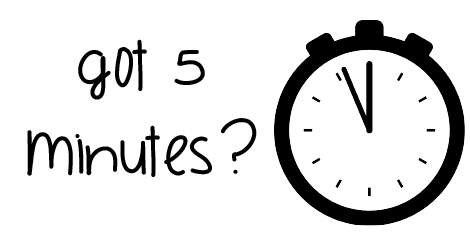 If you try setting a daily intention, I want to hear about it!